We manufacture and supply these products all over India to fulfill the industrial demands and domestic requirements. We are Herambh cooling Pvt. Ltd Company, a prominent water chiller manufacturer in India. Herambh cooling Pvt. Ltd is a leading air water heater manufacturers, suppliers, and exporters in India. The features of a machine are not enough to persuade you to buy from any air source heat pumps manufacturers India. Commenced in the year 1998, Herambh Coolingz. has established itself at beautiful location of Aurangabad in Maharashtra (India). Herambh cooling Pvt. Ltd is a leading air water heater manufacturers, suppliers, and exporters in India. We have been in this business for a long time. We manufacture very high quality products which are up to the industrial requirements. Every product designed and developed by us is a sign of utmost engineering which guarantees the efficiency and durability of product. Our products are designed to beat the climatic conditions, and process your industrial work by using hot and cold water throughout the year. 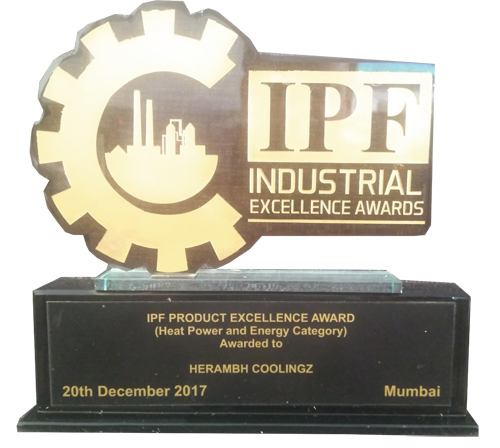 Being the largest cooling and heating system suppliers India, we can deliver our products to any corner of India. We are one of the best water heating system manufacturers India. We manufacture and supply these products all over India to fulfill the industrial demands and domestic requirements. Our systems are efficient at heating water without too much of energy consumption. These machines are utilized in several kinds of industries including hospitals, hotels, laundry, dairy and loads more. We are one of the fast growing panel cooler manufacturers and supplier all over India. We design and develop various types of panel cooler which include electrical panel cooler, panel air cooler and industrial panel cooler. Being the leading manufacturers also entitled us to be leading panel cooler suppliers India. No need to define you the purpose of water chiller at domestic place or inside industrial areas. However, if you are reading this then you are probably in search of these products. Therefore, we would gladly like to tell you that you landed on the right page for such demands. We are Herambh cooling Pvt. Ltd Company. Herambh cooling Pvt. Ltd is a leading air water heater manufacturers, suppliers, and exporters in India. We have been in this business for a long time. We manufacture very high quality air water which is up to the industrial requirements. Every product designed and developed by us is a sign of utmost engineering which guarantees the efficiency and durability of product. Air source heat pumps work by extracting heat from environmental air to heat up the desires place. Depending upon the work of evaporator, it can do both the thing cool or warm the place. It is a good alternative for heaters and air conditioner. The features of a machine are not enough to persuade you to buy from any air source heat pumps manufacturers India.